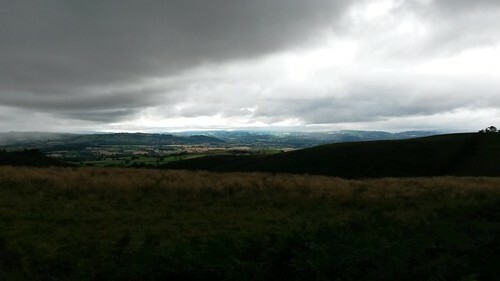 Having walked around the Stiperstones and enjoyed a cup of tea and cake at The Bog visitor centre, I still felt as though I wanted to do more ahead of the return to my tent near Bishop’s Castle. 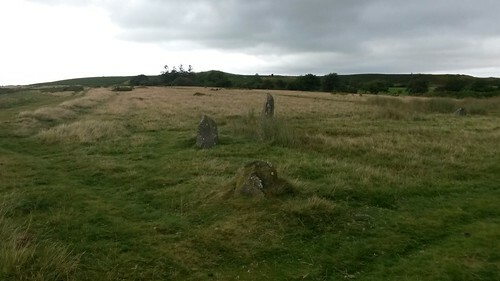 My early-evening trip to Mitchell’s Fold Stone Circle was one I had not planned for, even though I’d circled its location on my Ordnance Survey map. 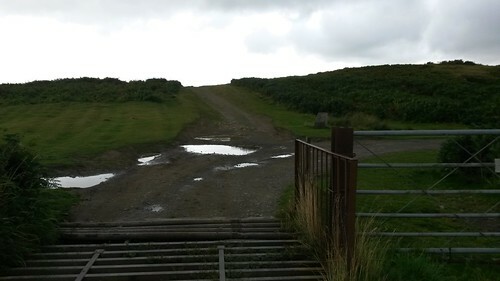 A day earlier, on the drive south from Welshpool, I’d passed the road sign for a “stone circle” and, without a post code (or 3G signal) for my SatNav to lead the way, I put my faith in my own road-reading abilities. It was a straightforward drive with a pothole-ridden stretch up a narrow track to reach the car parking area (there is no charge). From there, it’s only a five-minute walk up a gentle hill before arriving at the historic site. There were two other cars, as I recall but I would only come to pass one dog walker. 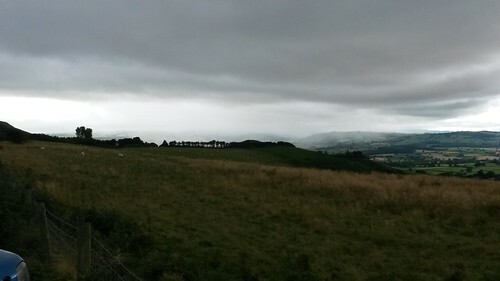 My brief time here was otherwise spent alone and in the shadow of Corndon Hill. Had I not already walked over ten-miles that day, I might have attempted to climb it from here. These stones for this Bronze Age site were apparently sourced locally (unlike Stone Henge, for example). 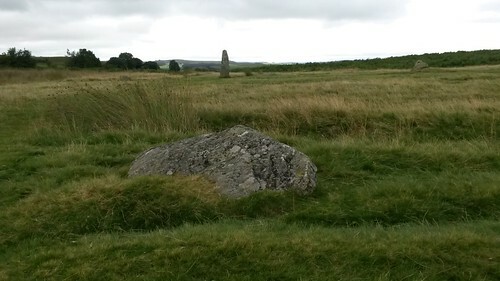 They may not stand as high and mighty as those at other some other sites but it is said that many of the stones are now missing and that, back in 1995, a farmer was punished for vandalising the site by uprooting and removing several stones… I’d like to hear his defence! 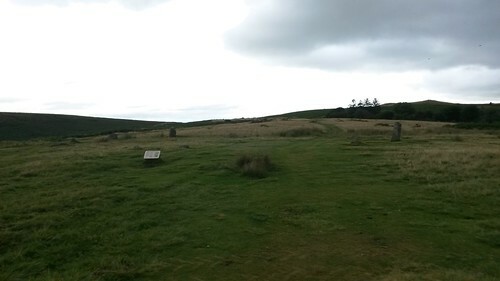 Local folklore may also suggest that it was on this site, where King Arthur withdrew Excalibur – although, I’m sure I’ve heard the same of another site down in Cornwall… If I looked around, I could probably unearth a similar tale set upon the Mendip Hills! 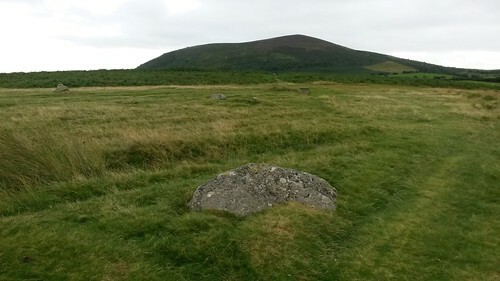 Despite being close to the Welsh border, there is only one other stone circle in Shropshire (which I have not visited). You can barely move for castles and medieval towns… I like to think that the rest have become ‘lost’ to time and angry farmers… Wales, however, seems to be covered with standing stones and circular formations. 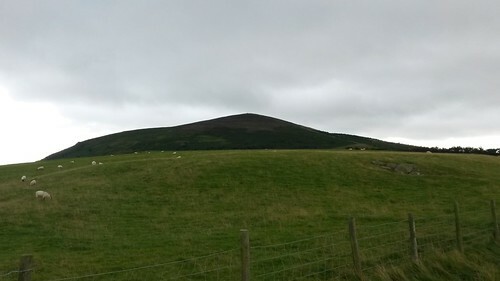 Mitchell’s Fold is only a five-minute walk from the car park and, even as I set off, I could see what was forming in the sky above. I barely had time to walk around and touch each stone before the Heavens opened with the heaviest shower of the day. I remember raiding the camp site’s recycling bins for a newspaper that evening. Scrunched up balls, as I have found, are a great way of soaking up moisture from within your walking boots. Either way, I decided I would take a day off from walking on the Tuesday, as you’ll see in my next post.